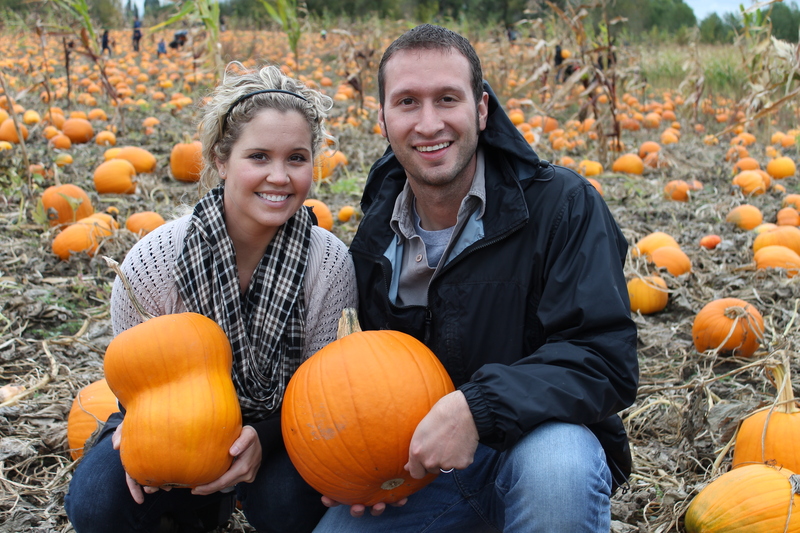 An afternoon at Kruger’s Farm is my idea of a quintessential fall day. The 150 acre farm boasts a corn maze, pumpkin patch, and a cute little market that offers local produce and beer, fresh roasted corn, and caramel-smothered apples. 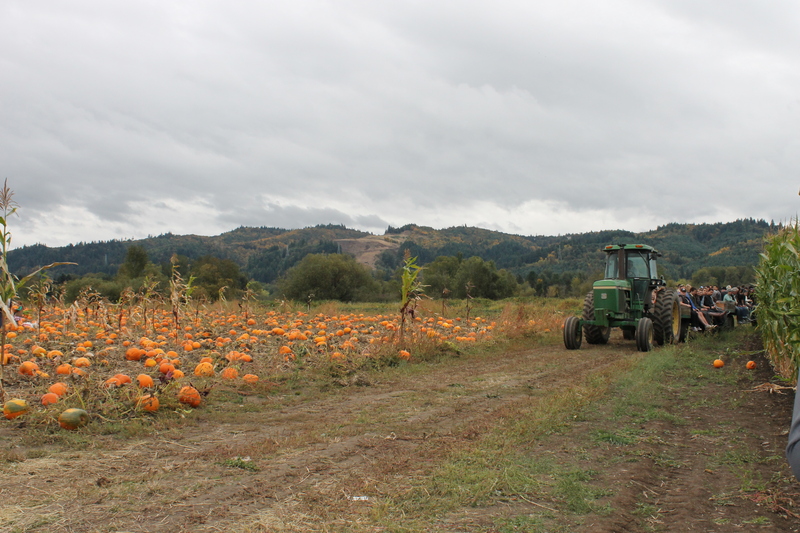 The farm is a little over ten miles from downtown Portland but the rural, wide-open setting makes it feel further from the city. What else could you ask for on a crisp fall day? My husband and I spent the afternoon at Kruger’s with a large group of friends last Sunday. The parking lot was full of cars when we arrived but the farm didn’t feel overly crowded and the lines moved quickly. 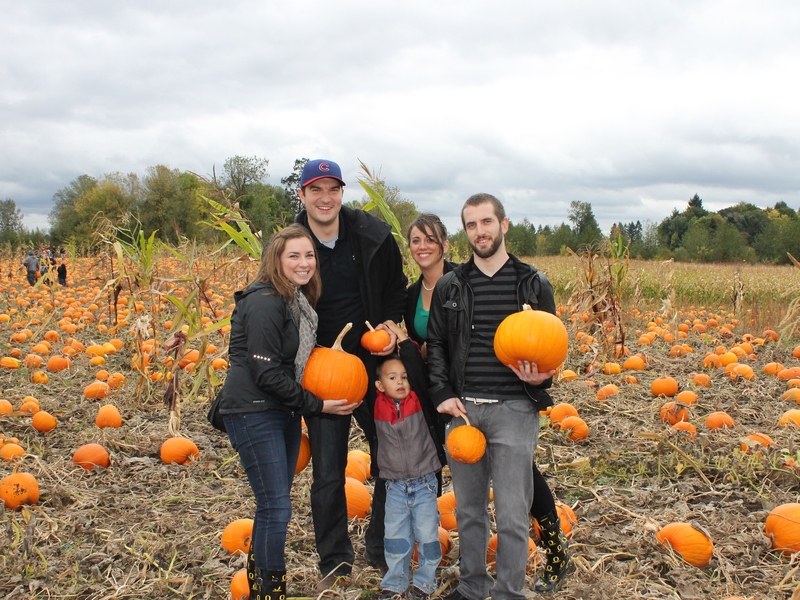 We began our afternoon adventure by making our way through the muddy corn maze to the pumpkin patch. 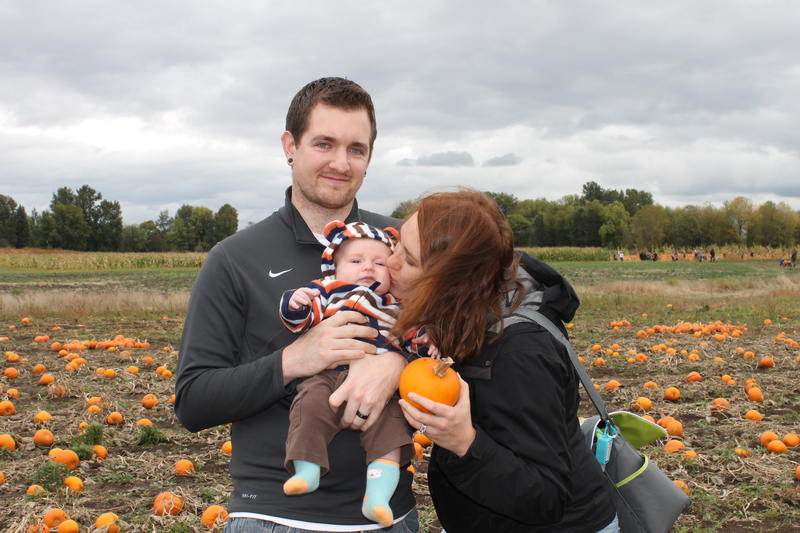 The patch was organized by size so we picked up a small pumpkin for our godson before making our way to the large pumpkin patch. There was a nice selection of pumpkins ranging in color and size – from perfectly round to misshapen double pumpkins that (with a little creativity) would make a perfect skull or Mr. Peanut. 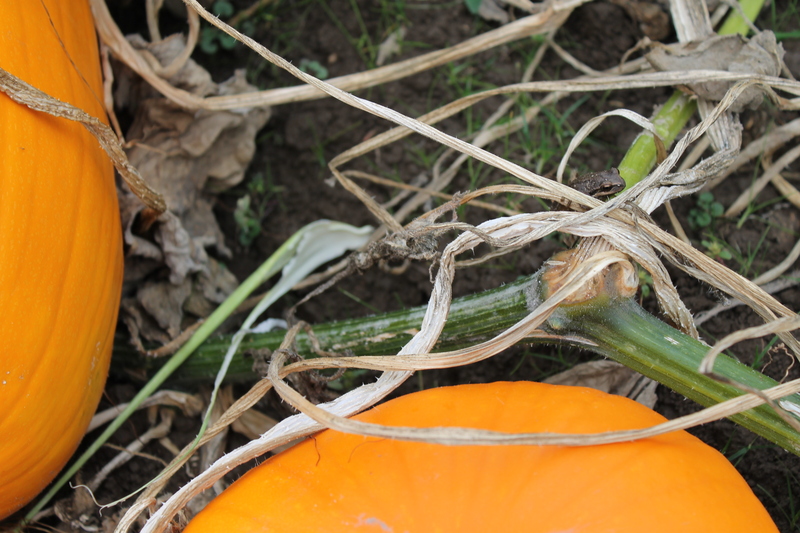 Among the pumpkins we discovered tiny, silver-dollar sized frogs hiding and hopping through the mess of vines on the ground. As you can imagine, some were thrilled by this find; others were not. We tried to catch the hay ride back to the market but it filled up quickly so we hauled our pumpkins back to the market by foot. In hindsight, this was probably a smart move because the walk wasn’t very far and we were about to consume a ridiculous amount of calories. We grabbed a local amber, roasted corn dunked in butter and sprinkled in 1/2 garlic salt and 1/2 red pepper flakes, and a caramel apple while we listened to the live folk band. The forecast called for rain but it held off until the very end of the day when we were protected underneath the canopy. 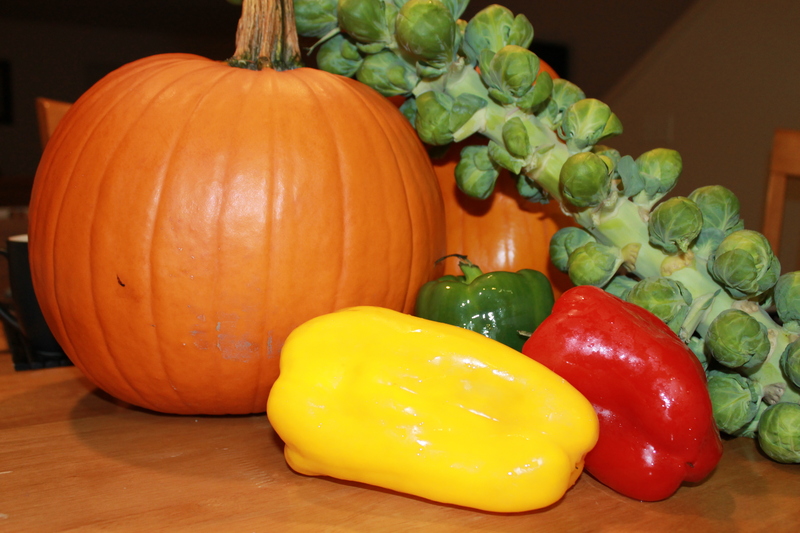 Before we left we grabbed some fresh veggies at the market; check out the size of those peppers! Can you spot the tiny frog?